Q. Since reading your previous post about FODMAP stacking I have fallen in love with smoothies, but as you say, they can be “FODMAP bombs.” Can you tell me more about how to make smoothies with IBS-friendly ingredients? Thanks! A. Smoothies have never been more popular! And why not? They taste great, can be assembled quickly, offer a convenient way to have a meal while on the job or on the go, and are a great vehicle for eating more fruits and vegetables. You can even use them to help you take your nutritional supplements! As healthy as they can be, however, they are full of belly-ache potential. Liquid: Smoothies need a liquid base. Popular low-FODMAP options include lactose-free yogurt, 99% lactose-free kefir, or almond milk. Skip the fruit juice—save your FODMAPs for fruit itself. Use enough liquid to help your blender do a good job grinding and pureeing the other ingredients. Ice cubes: Water cubes are the norm, but you can consider cubes made of frozen canned coconut milk or coconut cream if you enjoy the flavor and want to add some extra calories. Ice cubes help create a slushy texture, but you can omit them if you aren’t a fan of icy-cold beverages. Fruit: Choose low-FODMAP fruits. One-half cup (yes, really). 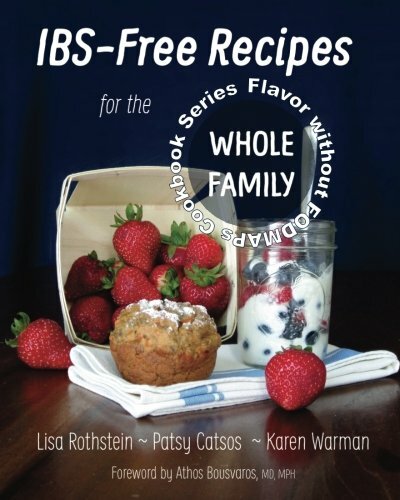 Most people with IBS can use any low-FODMAP fresh or frozen fruit. Some popular smoothie fruits include blueberries, strawberries, and bananas, but any low-FODMAP fruit will do. Do not use high-FODMAP fruits like mangos, apples or pears, or frozen berry mixes that include blackberries. Vegetables: The addition of low-FODMAP vegetables turns your drink into a “green smoothie.” While this is a great way to increase your intake of vegetables (and increase the volume of your smoothies), green smoothies can take a little getting used to. Baby spinach leaves are a “gateway” vegetable for smoothies. Start with a handful and increase as desired. Other low-FODMAP greens that are used in smoothies include baby kale, kale, collards, chard, arugula, and beet greens. This lovely chard would make a nice addition to a green smoothie! Protein: For a complete meal, you may want some protein in your smoothie, in addition to the protein from the yogurt or kefir. 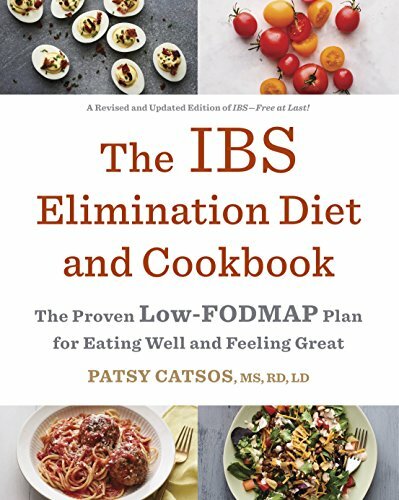 Low-FODMAP ideas include lactose-free cottage cheese or firm tofu. Protein powders made of 99% lactose-free whey protein, egg whites, brown rice, or peas might fit the bill if they don’t have other high-FODMAP ingredients. I have a few product suggestions over on Pinterest; be sure to read the list of ingredients every time before you buy, in case manufacturers have made changes—beware of added fructose, xylitol (or other sugar alcohols), non-fat dry milk or buttermilk powder, inulin (or other added fibers), and powdered high-FODMAP fruits or vegetables. More about low-FODMAP protein powders. Sweetener: Liquid stevia drops are the best choice for sweetening low-FODMAP smoothies. A drop or two of stevia is all it takes to boost the sweet flavor of the fruit in your smoothie without calling attention to itself. More about low-FODMAP sweeteners. Other ingredients: Up to 2 tablespoons peanut butter, almond butter, or chia seeds will add some valuable nutrients and will thicken your smoothie a bit. They must be portion-controlled during the elimination phase of a low-FODMAP diet, so don’t overdo it. Fresh ginger and turmeric are healthful and flavorful additions. A splash of nut or seed oil works well for those in need of some healthy fat. Smoothies can make it easier to consume supplement powders of various kinds if you have trouble swallowing capsules or drinking your fiber supplement stirred into plain water. Combine the ingredients in a blender, and blend on high speed until a uniform slushy texture forms. If the blender blades won’t engage, add a little water. Allow the chia seeds to hydrate for a few minutes to thicken the smoothie. Consume promptly, chill in the refrigerator or store in an insulated beverage container until serving. 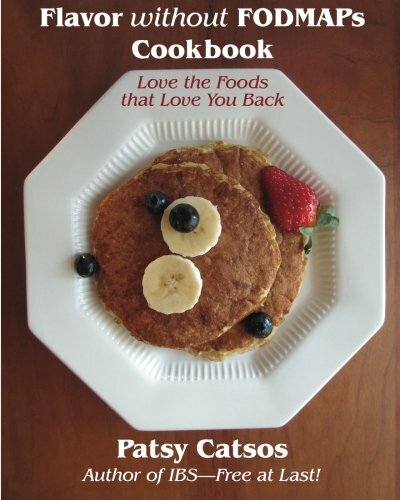 For a printable PDF version of this recipe, click here. As usual, check with your own dietitian to modify your smoothies and the elimination phase of a low-FODMAP diet as needed for your other health conditions. Older PostAfter the FODMAP Elimination Diet: Should I Try Enzyme Supplements?